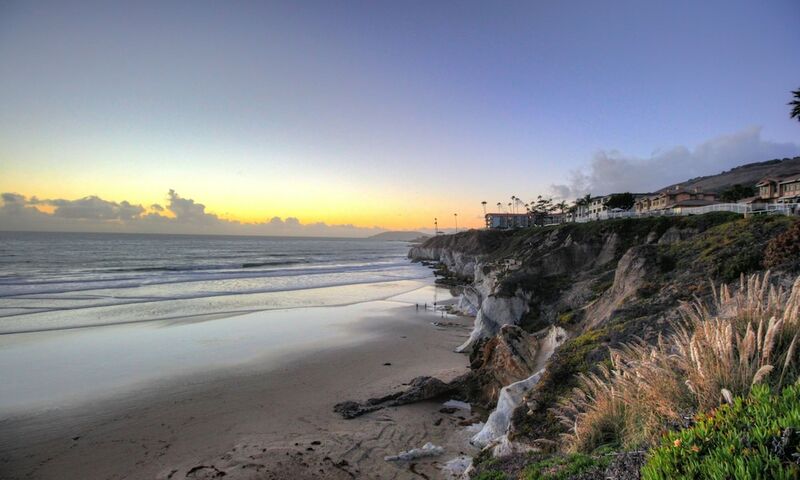 Within 2 miles (3 km) of this Pismo Beach hotel, you'll find Pismo Beach Pier and Monarch Butterfly Grove. Mission San Luis Obispo de Tolosa is within 12 miles (20 km) and California Polytechnic State University is within 16 miles (25 km). This hotel features an outdoor pool and a rooftop terrace. Traveling on business? Take advantage of the 24-hour business center and free WiFi in public areas. Guests will appreciate freebies like continental breakfast and free self parking. The 158 guestrooms feature comforts like pillowtop beds and Egyptian cotton sheets, while refrigerators and microwaves offer the conveniences of home. Other amenities include free WiFi, balconies or patios, and flat-screen TVs with digital channels. Thank you for staying with. We appreciate your feedback! And a lovely view. Was able to walk the beautiful beach. Marylou, thank you for taking the time rate the SeaCrest, we appreciate your kind words. We are happy to hear you enjoyed the views and beach during your stay. We look forward to having to visit again soon! Fantastic all around, I would definitely stay here again!! Good morning, Thank you for your awesome feedback. We truly appreciate it. We hope to see you in the near future. Overall, the hotel was good. It was clean, bed was comfortable, staff was friendly, and the location to Pismo State Beach was good. Only thing we weren’t happy about was that the description said ocean view. When I think ocean view, I think balcony, window, patio will be directly facing the ocean. Instead we saw another balcony & the pool area with what I would call, a partial ocean view. To experience the full frontal view facing the ocean book our Deluxe OceanFront guestrooms for no obscurities! We appreciate you taking the time to share your experience with us and we hope to see you again. Showed up to find that the hotel is under major renovations. The lobby is closed and check-in service is located is a makeshift hotel room that is used as thei "lobby". The pool is fenced off and shuttered as are many of the rooms. Breakfast is served in a room that was former the "sprinkler room" with toasters located next to a hotel vanity sink. The location is good and the peppery will be nice after renovations are compete but staying here in the present state is not advisable if you are looking for a decent place to stay. I complained that we were not told about the construction to Travelocity and I was offered $20. LOL. Our stay was only two days or I would have walked out. We arrived after midnight. Thanks for the crappy experience. Stay far and away until work is resolved. We apologize you were unable to enjoy your stay with us. The breakfast is currently located in our Conference Room, which has a sprinkler control center within the room and is noted for emergency personnel. Thank you for taking the time to share your trip with us. We hope you will look forward to the completion of our projects. The maitenence staff was outstanding and friendly, family fun atmosphere and easy access to everything. Great location. Rooms very comfortable. The fires in the terrace are great. Should be nice improvement if and when the restaurant opens. Please accept our apologies in regards to the outdoor heating lamps not working during your stay. We are glad you enjoyed the views from our hotel. Thank you for taking the time to review and we hope to see you again. Pros: Views, outdoor fire pits, and very peaceful, relaxing atmosphere. Location: Shopping, restaurants, pier and beach walking. This was the best hotel we have stayed in for a long time. Rooms were very clean. We got a room with a view, and WOW, what a view. 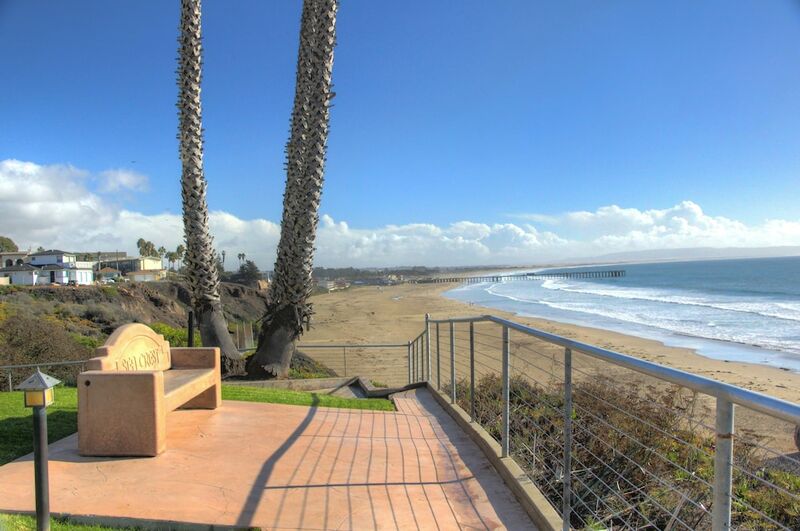 Hotel is within walking distance of Pismo Beach Pier and shops/restaurants. Complimentary breakfast was very good. We even got a show while eating on the patio, of the gray whales feeding closely off shore. We got another show of the life guards jumping off the pier while training. (don't do this yourself, against the law). Hotel staff were very friendly and helpful. Great free parking. We will definitely stay here again. Love this hotel right on the beach ! This was our second time staying here . Love the access to the beach , the view of the ocean from the room, the pool n hot tub , the greenery , outdoor sitting area. Nice friendly staff. WiFi and wired Internet are free in public spaces. There's an onsite 24-hour business center. Free breakfast is available daily. Event space at this hotel measures 3000 square feet (279 square meters). An outdoor pool, a rooftop terrace, and barbecue grills are also featured at the business-friendly SeaCrest OceanFront Hotel. Free self parking is available. Smoking is allowed in designated areas at this Art Deco Pismo Beach hotel. SeaCrest OceanFront Hotel offers 158 air-conditioned accommodations, which are accessible via exterior corridors and feature iPod docking stations and coffee/tea makers. Rooms open to balconies or patios. Pillowtop beds feature Egyptian cotton sheets and premium bedding. 32-inch flat-screen televisions come with premium digital channels. Refrigerators and microwaves are provided. Bathrooms include shower/tub combinations, designer toiletries, complimentary toiletries, and hair dryers. This Pismo Beach hotel provides complimentary wireless Internet access. Business-friendly amenities include desks along with free local calls (restrictions may apply). Housekeeping is provided daily.